Although I've found another nail polish brand to crush on in Smith and Cult, Essie will forever be my favourite! I don't know what it is about them that I love so much. Maybe it's the perfectly instagrammable bottles or the insane colour variety or even the perfect application every time brush. Either way this obsession is showing no signs of slowing down. 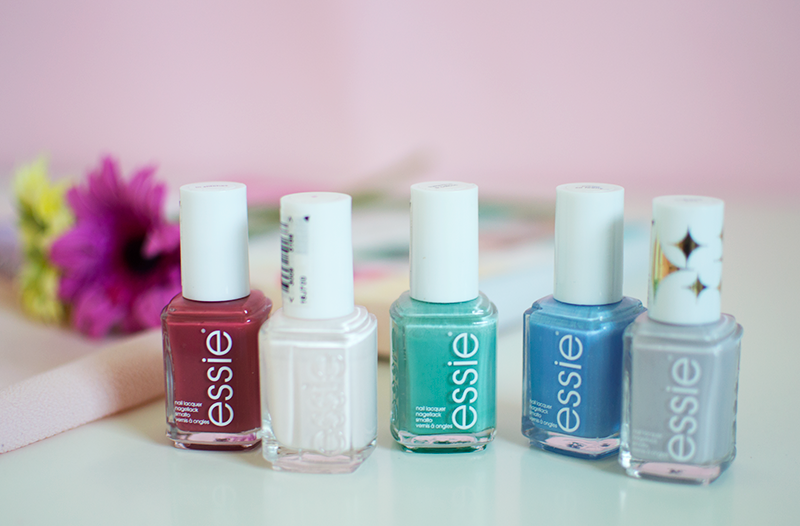 With the weather finally starting to heat up, I thought it would be a good time to put together a little edit of my go-to Essie polishes for Summer. In Stitches: A beautiful dusty rose colour which is the perfect shade that goes with everything you wear! Turquoise & Caicos: One of my first purchased Essie varnishes, the only way I can describe Turquoise and Caicos is as a more vibrant duck egg. It also kinda reminds me of Tiffany blue so you know. Cabana Boy: One of my more recent editions to the collection and probably my most used at the moment. The website describes Cabana Boy as an 'ultra cool pearly white', but when I look at it I don't know whether it's blue, grey or white! But I do know it's one not to miss! Fiji: I think everyone has Fiji in their Essie collection somewhere right? Probably the most raved about polish I've heard about, Fiji is an uber pale pink colour. Bikini So Teeny: One of my favourites for my toes! 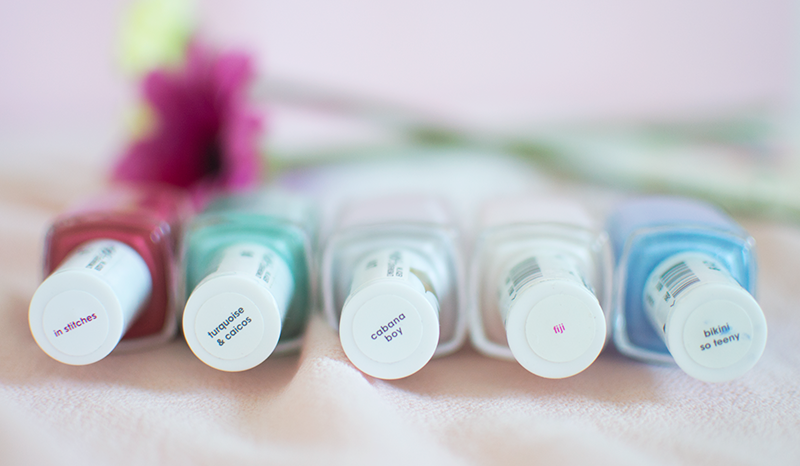 Bikini So Teeny is light blue in colour with a hint of tiny sparkles. Now that's my kind of nail polish.